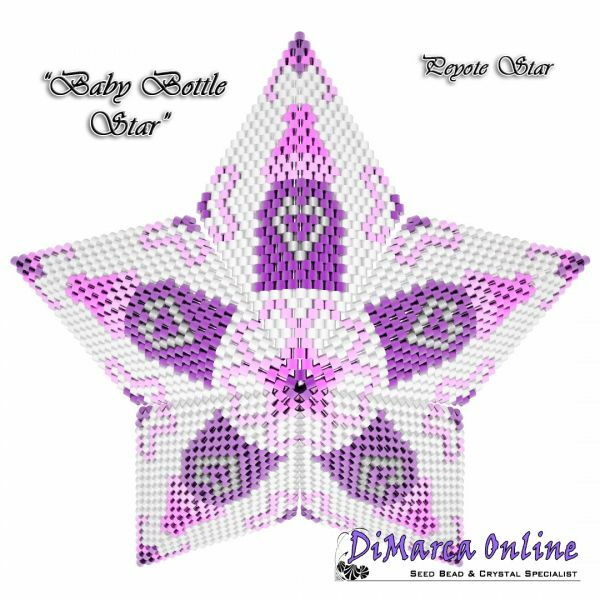 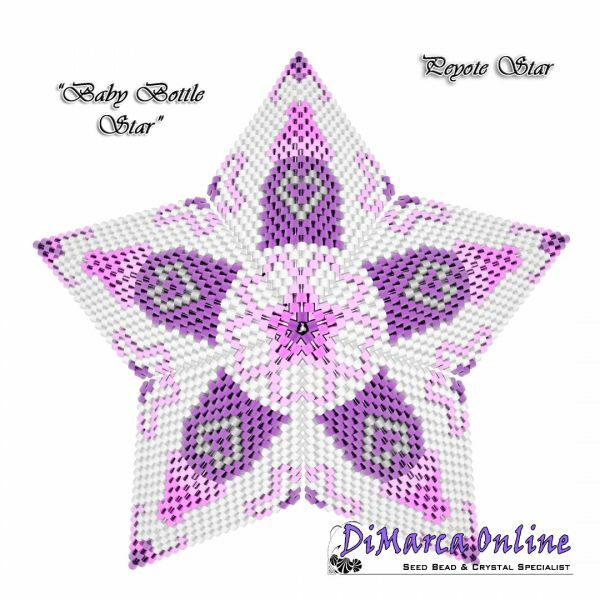 This beading pattern provides a colour diagram and text to create the Baby Bottle 3D Peyote Star. 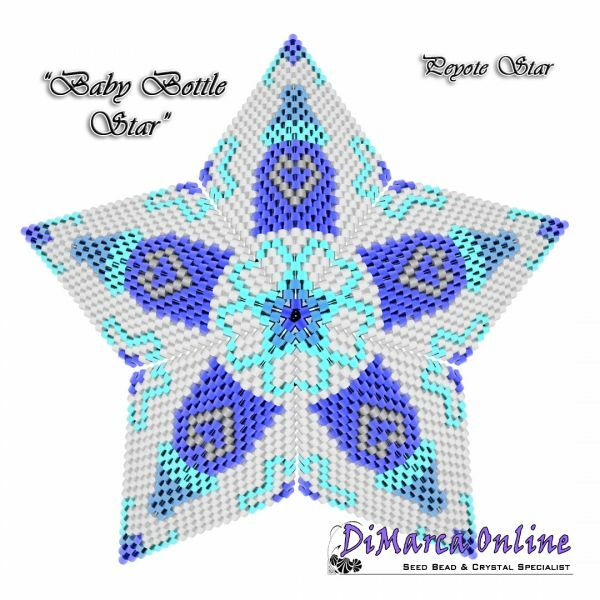 This star has 20 rows. 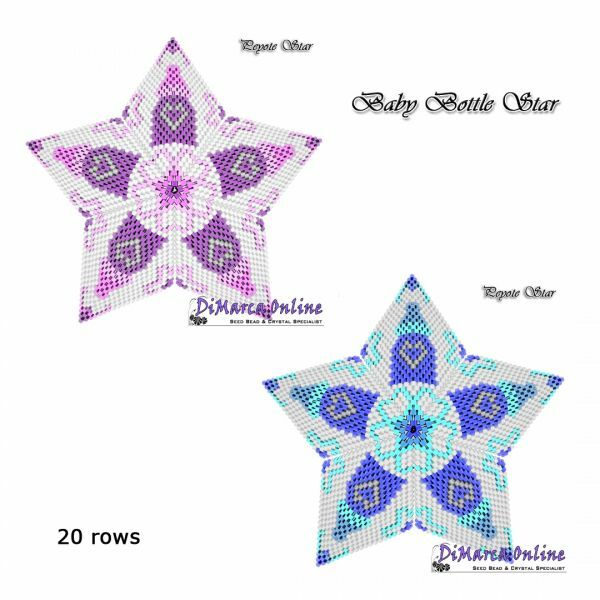 It shows 2 colourways: pink and blue. 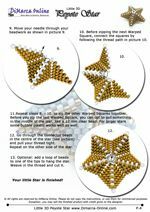 Included are also the step by step instructions with clear 3D images of how to create a 3D Star in peyote with warped squares: "Little 3D Peyote Star"
You will receive an e-mail with a download link to download the 8 pages PDF file.